In: ACEONDO 2016/17 Academic Session Closure of School Portal !!! ACEONDO 2016/17 Academic Session Closure of School Portal !!! Adeyemi College of Education, Ondo State, ACEONDO registration portal closing date for the 2016/2017 academic session has been announced. As examination draws nearer, it is necessary that all students complete their registration for the session before exam commencement. 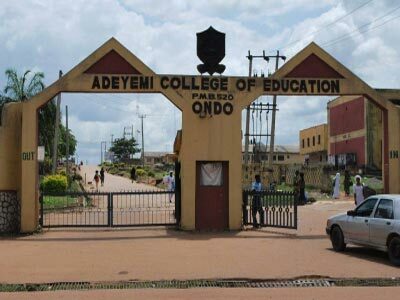 All students of Adeyemi College of Education, Ondo are expected to pay all their school fees and complete their registration before the registration portal closes on the set date. This is to inform the College Community (both staff and students) that College Portal will be closed for the 2016/2017 Harmattan Semester registration on Friday the 31st day of March 2017 for returning students. This is necessitated because examination is starting the following week (Tuesday 4th April 2017) for returning students. Students are to note that no unregistered student will be allowed to write examinations. Students who pay school fees and fail to register will not also be able to write examinations since there will be no records of the student’s course registration on the portal. All students are thereby advised to Pay their fees and register on or before Friday the 31st day of March 2017. Staff are to download Tutorial List for their courses as soon as Portal is closed for registration on Friday 31st day of March 2017. This Downloaded Tutorial List (DTL) is to be used as attendance register for the examinations as there will be no more Yellow forms provided for examination attendance registration. Only new students without Matriculation numbers will be exempted from this closure of the portal since admission is still on and Matriculation is pending. New students examination date is postponed and details of the time of examination for new students will be announced soon.